Hamm's Tree Service: Hamm's Tree Service Joined Storeboard! 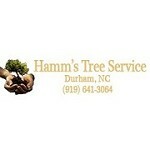 David Hamm, affectionately known as ''The Tree Guy'', runs Hamm's Tree Service in Durham, NC. The company offers free estimates on all tree work, including removals, pruning, and more.